Join us for these wonderful Festivals! 20th Anniversary of Festival Internacional de Guitarra de Coria, August 2-9, Coria, Spain! 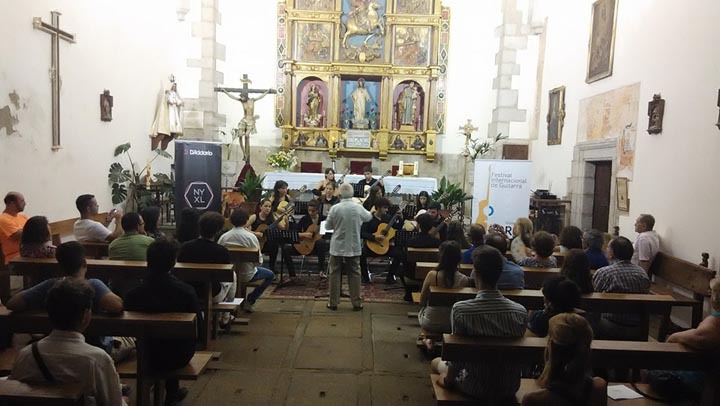 For this special occasion, CARLOS MOLINA created and organized a Guitar Orchestra with the Festival student participants, which he will be directing for the closing event. This competition has become one of the most important in all Europe, from which some of the finest younger talents have emerged. Great performers of today such as Ricardo Gallén, Judicael Perroy, Antigoni Goni, Lorenzo Micheli, Marcin Dylla, Rovshan Mamedkuliev, David Martínez, Goran Krivokapic, Irina Kulikova, Harold Gretton, Anton Baranov, Alejandro Córdova, Jeremy Jouve, Thierri Begin-Lamontage, Vladimir Gorbach, Juuso Nieminen, Andrea Csaki, Luis Leite, Gabriel Bianco, and Damian Lancelle have been First Prize winners of this competition and consequently been invited to the MCGS International Laureates Series. 10th Anniversary of Fiuggi Guitar Festival, July 19-25, Fiuggi, Italy! CARLOS MOLINA will jury, teach masterclass, and perform with the MOLINA DUO - Carlos Molina and soprano Marisa Molina. MOLINA DUO will be dedicating an entire program to Cuban composers, including José Ardévol, Armando Rodríguez, Flores Chaviano, Leo Brouwer, Emilio Grenet, Jorge Anckermann, Sindo Garay and Ernesto Lecuona. Fiuggi Guitar Festival wonderful roster of artists includes Paolo Bellinati, Marco Pereira, Francesco Taranto, Vladislav Blaha, Molina Duo - Carlos Molina & Marisa Molina, and many others! The Miami Classical Guitar Society is very proud to present our 28th Season Closing Concert, featuring one of the world's greatest, Paraguayan "guitarist extraordinaire" BERTA ROJAS! Warmth, musicality, and impeccable technique; an ambassador of the guitar, with special affinity for the music of her native Latin America. Nominated three times for a Latin GRAMMY Award, Berta moves easily between classical and other musical genres, captivating critics and selling out performances around the world. Her warmth and heart touching musical artistry delight audiences wherever she performs, from Carnegie Hall to the South Bank Centre in London, the Frederick P. Rose Hall at the Lincoln Center in New York, the John F. Kennedy Center in Washington, D.C., the National Concert Hall in Ireland with the Irish Radio and Television Orchestra, or Flagley Studio 4 in Brussels where she performed with the Brussels Philharmonic Orchestra for the Belgian National Television. She also had the honor of opening the Summit of the First Ladies of the Americas attended by then–First Lady Hillary Rodham Clinton. In 2011, Berta, along with Paquito D’Rivera as guest star, initiated the four-year tour “In the Footsteps of Mangoré” which followed the travels of Agustín Barrios, pioneer of the classical guitar in the Americas. The duo performed in 20 Latin American and Caribbean countries, concluding the journey at the national theater of the capital of El Salvador; the final resting place of this celebrated composer. Berta maintains a busy schedule of CD recordings. Her Intimate Barrios is one of the most celebrated recordings of the great Paraguayan, glowing with the insight that only a Paraguayan compatriot could bring to his music. With Cielo Abierto and most recently, Terruño, Berta has continued, to great acclaim, to bring a fresh and exciting new repertoire to the guitar. She has also toured in duo with Carlos Barbosa Lima, a collaboration culminating in the CD Alma y Corazón. In addition to continuously enriching her own musicianship, and her tireless touring, Berta Rojas is committed to furthering the growth of the classical guitar in the Americas with particular focus on supporting young performers. 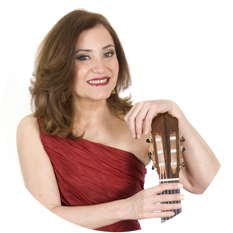 In 2009 she created the first online classical guitar competition, the Barrios WorldWideWeb Competition, and was artistic director of the Ibero-American Guitar Festival held at the Smithsonian Institution Museum of the American Indian in Washington DC. Berta also co-founded the young persons’ Beatty Music Scholarship Competition for Classical Guitar whose winners perform at the John F. Kennedy Center in Washington DC. Berta Rojas is Professor of guitar at George Washington University, Washington DC. She studied with Abel Carlevaro and received a Bachelor of Music degree at the Escuela Universitaria de Musica in Uruguay where she was a student of Eduardo Fernandez. Later, she earned a Master’s Degree in Music from Baltimore’s Peabody Conservatory where she studied under Manuel Barrueco, Ray Chester and Julian Gray. Rojas has been honored as a Fellow of the Americas by the Kennedy Center for the Performing Arts for her artistic excellence. She is also privileged to be the Ambassador of Tourism for her country, Paraguay. In 2014, the news agency EFE deemed her one of the most influential women in the Hispanic world. Auditor Fee - $5 at the door. (Free Audit for MCGS Members). Auditing fee includes entire day. Email: info(at)miamiguitar.org / Subject Line: Masterclass Performer Registration - BERTA ROJAS. Include list of pieces (up to two) you will be performing. Limited number of Performer spaces available. Preference will be given to MCGS Members. PERFORMER FEE - $45 for 45 minute session. (Masterclass Performers will receive a special $15 ticket for Berta Rojas' Concert). MASTERCLASS PERFORMER FEE $45.00 - PURCHASE ONLINE *Performers, don't forget to register with an Email! 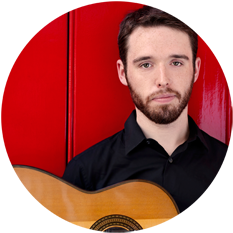 The Miami Classical Guitar Society is very pleased to welcome back young American Maestro COLIN DAVIN, First Prize Winner of our MCGS 2007 Miami's International Guitar Competition and Assemblage! Hailed as “the real thing, a player with a virtuoso’s technique, a deeply expressive musicianship, and a probing imagination” (American Record Guide) and for his “precision, musical intelligence and passion” (Cleveland Classical), guitarist COLIN DAVIN has emerged as one of today’s most dynamic young artists. Highlights of the 2015-16 season include performances at the Ellnora Festival at the University of Illinois; the New York City Classical Guitar Society; a performance with Dawn Upshaw at the Resonant Bodies Festival; and the Cleveland International Guitar Festival. In November 2014, Davin appeared as a featured musical guest on the Late Show with David Letterman alongside soprano Jessye Norman. He has performed at venues across the world, including Carnegie Hall, Alice Tully Hall, the Metropolitan Museum of Art (on historic instruments from the museum's collection), New York Philharmonic Ensembles, the Alhambra Palace in Granada, Spain, the Paris Conservatoire, and venues throughout the United States. His collaborators include GRAMMY Award winning soprano Estelí Gomez, conductor and pianist Philippe Entremont, and Pulitzer Prize winning composer Caroline Shaw. Since 2012, he has taught and performed at the Aspen Music Festival as the teaching assistant to Sharon Isbin, and has three times been a guest teacher at the Afghanistan National Institute of Music in Kabul, Afghanistan. Davin’s debut solo recording, “The Infinite Fabric of Dreams” has been praised as “some of the finest interpretations I’ve heard...achingly beautiful...a thoughtful, perceptive interpretation, filled with details often missed” (American Record Guide) and "a first-rate disc...Davin knows the pieces deeply and delivers virtuosic and exciting performances...state of the art" (Soundboard Magazine). As a catalyst for the creation and performance of contemporary music, he has performed with the ensembles Contemporaneous, Axiom, New Juilliard Ensemble, and Mimesis Ensemble. Davin is the founder of The Millennial Music Festival, which has promoted new commissions and intriguing programs featuring New York’s most sought-after young musicians. Colin Davin holds a Master of Music degree from the Juilliard School, where he studied with Sharon Isbin; a Bachelor of Music from the University of Southern California with William Kanengiser; and preparatory studies at the Cleveland Institute of Music with Jason Vieaux. He holds numerous top prizes in international competitions, including the Guitar Foundation of American International Solo Competition. He currently serves on the conservatory faculty at the Cleveland Institute of Music. Concert Program includes: Sonatas and Suites by Bach (including arrangements by Davin), Joan Tower, and Federico Mompou! St. Bede Episcopal Chapel of Coral Gables, at U.M. Located on the University of Miami Campus. Parking - Public Parking lot a block behind, or street parking. Auditor Fee - $5 at the door. (Free Audit for MCGS Members). Auditing fee includes all masterclasses for the entire day. Email: info(at)miamiguitar.org / Subject Line: Masterclass Performer Registration - Colin Davin. Please include list of pieces (up to two) which you will be performing. PERFORMER FEE - $35 for 45 minute session. (Masterclass Performers will receive a special $15 ticket for Colin Davin's Concert). The Miami Classical Guitar Society is very proud to present, world-renowned Italian Maestro, classical guitarist ROBERTO FABBRI! With an extremely active career as a fine performer, composer, teacher and writer, ROBERTO FABBRI performs as a soloist, with orchestra, and with the famous guitar quartet Nexus, now known as the Roberto Fabbri Guitar Quartet. He is regularly invited to perform and give master classes at international guitar festivals and to judge at competitions around the world. An acclaimed writer and composer, Fabbri signed with Sony Classical Records in 2012 where he recorded his new cd "Nei Tuoi Occhi". He has carried out an intense didactic and editorial activity, cooperating with different publishing houses (Anthropos, Berben, Playgame, EMR, Warner Bros, Carisch). 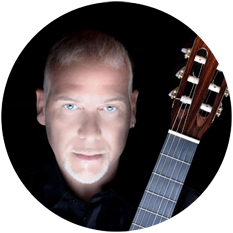 He is featured on the CD “Pure Emotions - Classical Guitar Love,” an anthology that includes pieces by renowned guitarists such as Andrés Segovia and Julian Bream. Fabbri is the headmaster and teacher of classical guitar at Novamusica e Arte in Rome, and presently teaches classical guitar at the State Conservatory "F. Torrefranca" in Vibo Valentia, and at the Institute of High Artistic and Musical Formation "Giulio Briccialdi" in Terni. As an organizer, Fabbri is the founder and artistic director of the Fiuggi Guitar International Festival in Italy. Fabbri plays a Ramirez 125 Anniversary 2007 n.1 and uses "D'Addario" strings. Email: info(at)miamiguitar.org / Subject Line: "Masterclass Performer Registration - Roberto Fabbri". (Masterclass Performers will receive a special $15 ticket for Roberto Fabbri's Concert). 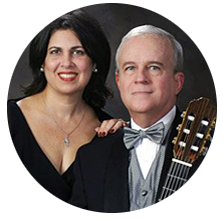 The Miami Classical Guitar Society, in collaboration with Miami International GuitArt Festival, proudly present MOLINA DUO, formed by guitarist Carlos Molina and soprano Marisa Molina. The MOLINA DUO first performed in 1999 at the Conservatoire Britten of Périgueux in France. In 2001, they presented a concert in Miami dedicated to Joaquin Rodrigo’s music for voice and guitar, honoring his 100th birthday. They have also been featured at the international festivals of Vélez-Málaga, Coria, Hondarribia, and Aranda del Duero in Spain, Rome, Cassino, Ceccano, Fiuggi, Potenza, Bisceglie, and Pescara in Italy, Universidad de Veracruz in Mexico, Eastfield College in Dallas, and the Miami Classical Guitar Society Series. In recent years, the Molina Duo were guest artists to the Alirio Diaz International Festival in Carora, Venezuela, Serate Musicale in Sardinia, and the Festival Dupre Citta in Rome, Italy. Born in Havana, Cuba, Carlos Molina is lauded as founder of the Cuban School of Guitar. He began performing in 1969, after graduating with a degree in Guitar Performance from the National Conservatory in Cuba, and a Law degree from the School of Law at the University of Havana. He finished his music studies at the Superior School of Music, Instituto Superior de Arte (ISA). In 1970 he won First Prize at the National Guitar Competition in Cuba, and his first tour of Europe followed. Celebrating a performing career that expands 45 years, Molina has performed in prestigious halls such as the Kennedy Center, the Metropolitan Opera House, St. Petersburg Philharmonic Major Hall, Dvorak Hall of Prague, Ateneo of Madrid, Chopin Hall of Warsaw, Zeneakademia of Budapest, Hall of Mirrors at Palatial Palace in Bratislava, Salle du Conservatoire d’Orleans, Sala Carlos Chávez in Mexico, Teatro Amadeo Roldán in Cuba, and many others. He has been soloist with symphonic orchestras, including the National Symphony of Cuba, Sinfónica de Oriente, Sinfónica de las Villas, Marianske Lazne Symphony, Miami Beach Symphony, Miami Chamber Symphony, Florida Lakes Symphony, etc, and has shared concerts with Alirio Díaz, Leo Brouwer, Turibio Santos, Benjamin Verdery, Carlos Barbosa-Lima, Nikita Koshkin, as well as toured worldwide as solo guitarist of principal ballerina Alicia Alonso and the Cuban National Ballet. In 2007, Carlos Molina was honored with a Lifetime Award: Premio Chitaristico Citta di Fiuggi, in Italy, together with Alirio Díaz, Leo Brouwer, and Carlos Carfagna; and in 2009 received the Order Maestro Alirio Díaz, the highest guitar award in Venezuela. Molina has been featured in 56 international guitar festivals, and since 2001 has been performing with his wife, soprano Marisa Molina, as a duo. Parallel to his concert career, Molina gives master classes and has juried 36 international guitar competitions; including seven times at the Guitar Foundation of America (GFA). A tireless promoter of the instrument, Molina has directed and produced nine guitar festivals, starting with the First Guitar Festival of Cuba in 1976, Panorama de la Guitarra, and the First International Guitar Festival of Cuba in 1978, Encuentro de Guitarristas de América Latina y el Caribe. 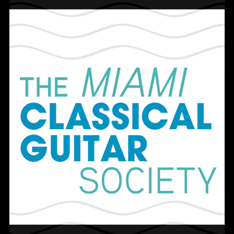 In 1987, Molina founded the Miami Classical Guitar Society. In 1991 and 2002, Molina was selected to direct and produce the GFA’s International Convention and Competition in Miami. In 2004, Molina created Miami's First International Guitar Competition, through the Miami Classical Guitar Society. Molina has been dedicatee of many works, including the Canticum by Cuban composer Leo Brouwer in 1968, the duo Return of the Winds by Russian composer Nikita Koshkin in 2002, as well as works by Olivier Chassain, Gerard Drozd, Roberto Fabbri, Jon Nelson, Orlando García, Carlos Rafael Rivera, Antonino Hernández Lisazo, Armando Rodríguez, Teresa Madiedo and Molina's brother, Luis Manuel Molina, amongst others. Born in Greenville, South Carolina, and raised in Havana, Cuba, vocal soprano Marisa Molina began her musical studies with the piano at a very early age. In 1967, she received a voice scholarship with the internationally acclaimed soprano Iris Burguet at the Amadeo Roldán Conservatory in Havana, where she met her husband Carlos Molina. Once in the US, Marisa continued her voice studies with mezzo-soprano Diane Mauch, and later with renowned Cuban tenor Cesar Antonio Suárez and his wife Geraldine Suárez-Novak, and graduated from Florida International University, also with a minor in French Language. Marisa has participated in different vocal groups in Cuba and the US, including the University of Miami’s Civic Chorale, the Greater Miami Opera Choir, and St. John Neumann Festival Choir. Following her graduation, she performed the role of Micaela in excerpts from Carmen at the Merrick Festival of Coral Gables. Shortly after, she began performing together with her husband, offering unique renditions of music for voice and guitar. In 1999, Marisa and Carlos had their first duo performance in Europe at the Conservatoire Britten of Périgueux, France. In 2001, they performed a solo concert in Miami dedicated to Joaquín Rodrigo’s music for voice and guitar, honoring his 100th birthday. Together they have been featured several times at the international festivals of Vélez-Málaga, Coria, Hondarribia, and Aranda del Duero in Spain; Rome, Cassino, Ceccano, Fiuggi, Potenza, Bisceglie, and Pescara in Italy, Universidad de Veracurz, Mexico, Eastfield College in Dallas, and the Miami Classical Guitar Society Series. In recent years, the Molina Duo were guest artists to the Alirio Diaz International Festival in Carora, Venezuela, Serate Musicale in Sardinia, and the Festival “Due Citta” in Rome, Italy. The Miami Classical Guitar Society proudly presents the first concert of our 28th Season Guitar Masters and Laureates Series, featuring young virtuoso EKACHAI JEARAKUL from Thailand, First Prize Winner of the prestigious 2014 Guitar Foundation of America, International Competition! EKACHAI JEARAKUL is considered one of today’s most outstanding classical guitarists on the international scene. In 2014, he became the first Asian guitarist to win the prestigious Guitar Foundation of America International Concert Artist Competition. This prize entails a fifty-concert tour in North and South America, including a Carnegie Hall debut in New York City sponsored by the D’Addario Foundation, a Mel Bay publication, and recordings on the Naxos and GHA labels with worldwide distribution. Ekachai has earned an impressive list of honors, which include twelve first prizes at prestigious international guitar competitions in Europe, Asia, and North America. He has performed in over sixteen countries, including Thailand, China, France, Korea, Russia, Greece, Japan, Austria, England, Italy, Germany, Mexico, Philippines, Indonesia, Spain, Singapore and the United States. In 2011, he commissioned new arrangements and made a recording of the music of the King of Thailand, His Majesty Bhumibol Adulyadej. Ekachai has collaborated with distinguished conductors such as JoAnn Falletta and Bundit Ungrangsee, and has appeared with orchestras around the world, including the Seoul Philharmonic Orchestra, the Thailand Philharmonic Orchestra, the International Orchestra of Italy, the Unity Philharmonic Orchestra, the Ukraine Philharmonic Orchestra, the National Ensemble of Soloists “Kiev Camerata,” the Princess Galyani Vadhana Institute Orchestra (Thailand), the Orquesta Sinaloá de los Artes (Mexico), and the Buffalo Philharmonic Orchestra (USA). 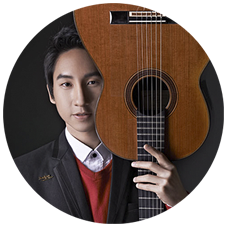 Born in 1987 in Ubon Ratchathani, Thailand, Ekachai Jearakul started guitar studies at the age of thirteen. His professional training as a full scholarship student began at Mahidol University College of Music, where he completed a Bachelor in Music degree in Classical Guitar Performance with Dr. Paul Cesarczyk. Subsequently, Ekachai went on to earn a Master’s degree in Guitar Performance at Salzburg’s Mozarteum with Prof. Marco Tamayo. Since 2007, Thai Bev “Sangsom” Thai Talent has sponsored Ekachai, and in 2013 he became a Yamaha artist. (Discounts: $20 for members, seniors, students with ID). Children under 12 are free. No Reservations needed. The MCGS is a 501c3 non-profit cultural organization, brought to you with support from our SPONSORS - 28th Season: Miami-Dade County Department of Cultural Affairs and the Cultural Affairs Council, Miami-Dade County Mayor and the Board of County Commissioners, Savarez Strings, The D'Addario Music Foundation, Anita and Morris BROAD FOUNDATION, MAD Design Studios, Societa Dante Alighieri, Country Inns and Suites, Vitalini Corazzini PA, Bacardi USA, Harvey & Margie Willensky. In Collaboration With: Guitar Foundation of America, USA; Ciudad de Coria International Guitar Festival, Extremadura, Spain; Miami International GuitArt Festival; Miami Dade College.